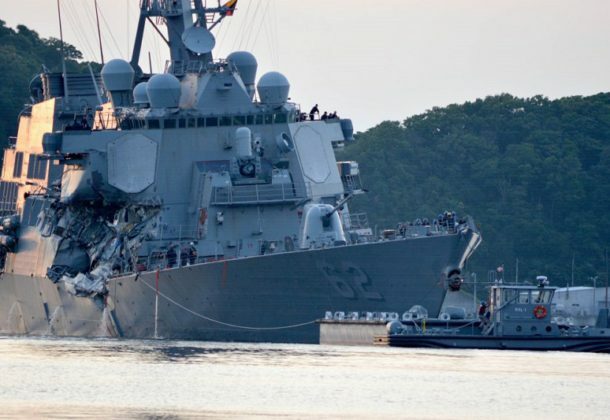 The company that owns the merchant vessel that collided with the USS Fitzgerald in 2017, drowning seven sailors, has agreed to pay the US government nearly $27 million as part of a settlement agreement, Navy Times reports. The Fitzgerald and the ACX Crystal were transiting sea lanes off Japan before the collision June 17, 2017, when the container vessel struck the guided-missile destroyer’s starboard side. The House passed legislation late last week that guarantees back pay for federal employees after the government reopens, reports Federal Times. Into the fourth week of the longest government shutdown in history, there appears to be no end in sight, reports Fox News, and if the shutdown is ever going to end, President Trump, along with congressional Democrats and Republicans, must do as their political forefathers did and compromise. The US Navy is pushing a plan to bolster information warfare capacities this year, reports Executive.Gov. The Information Warfare Readiness Improvement Plan would revamp the way servicemen leverage command, control, communications, computers, and intelligence assets. 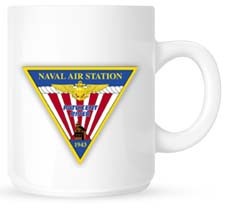 “What we’re driving toward is an environment with better technology that lets Sailors employ, maneuver, and manage their C4I capabilities with less onboard assistance from the SYSCOM [systems command],” said RADM Carl Chebi. Charles Kupperman, a former defense industry executive and Reagan administration official, has been named as the new deputy national security adviser, reports Politico. Mr. Kupperman replaces Mira Ricardel, who was ousted from the position last year after clashing with first lady Melania Trump’s staff. The developer of one of China’s newest stealth drones, the Sky Hawk, says it features state-of-the-art technology that allows it to communicate and collaborate with manned aircraft during surveillance and combat operations, reports South China Morning Post. The Pentagon is finalizing plans that would send hundreds of additional active-duty troops to the US-Mexico border for several more months to support the Department of Homeland Security, reports Military Times. Details are being worked out, but the plan likely would extend the military’s border mission though the end of September. Force Master Chief (SEAL) Derrick Walters will replace incumbent Fleet Master Chief Raymond Kemp as the next fleet master chief of US Naval Forces Europe-Africa and Allied Joint Force Command Naples, reports Navy Times. Dr. Joseph Scalea, a University of Maryland Medical Center transplant surgeon, sees unmanned aircraft as the ultimate method for delivering life-saving organs from donors to recipients, reports The Baltimore Sun. Dr. Scalea is trying to resolve the technical, regulatory, and medical hurdles to using drones to shepherd medical supplies such as blood, medicines, and body parts anywhere around the country. This year, when San Diego volunteers comb the region to count and interview the homeless population, they’ll have a bit of high-tech help, reports The San Diego Union-Tribune. Organizers of the annual Point-in-Time Count will use infrared technology on drones and helicopters to help them locate people living in canyons and other areas were they might be harder to find. The US Naval Academy in Annapolis is getting a new dean of students, Navy Times reports. Capt. Thomas R. “TR” Buchanan will become the 88th commandant of the midshipmen. The County Times reports numerous people attended a St. Mary’s County commissioners’ public forum last week in support of the construction of a new community center in Lexington Park; many speakers called for accelerating the project in the county’s capital improvement construction schedule.